Meet the Fit4Lyfe team and find out how we can help you achieve your fitness goals. Sandy began her love and passion for health and fitness over 17 years ago and quickly discovered that this was something that could not only change her life but the lives of others. As a full time mother and entrepreneur, Sandy understands the difficulty of a busy schedule and the importance of time management to allow her to not get burned out while continuing to do the things she loves. Over the past few years, Sandy has come up with a system that WORKS and allows you to not only obtain the body you’d like but learn how to balance your day to day commitments so that you can MAINTAIN and IMPROVE daily. She works closely with each individual to determine the proper fitness and nutrition plan while helping create a healthy work-life balance. The knowledge that she has gained over the past years has allowed her to concentrate more on what will help each person meet their goals by following a simple plan and sticking to it! Being a Personal Trainer, Nutrition Coach, Beachbody Coach, 1st place NPC Bikini Competitor and Mentor has brought Sandy from ordinary to extraordinary! She is READY and EXCITED to help push you to that next level with your health, fitness and LYFE! As a 40 (Plus) year "young" full time Corporate Executive, Father and Husband, Jason is all about time management and motivating others to step outside the box and explore their full potential. He is an avid, competitive Obstacle Course Racer, Mountain Biker and Snowboarder, Jason has a passion for the outdoors and adventure and understands what a big role fitness plays in enjoying these activities. Jason definitely knows the meaning of dedication, motivation, and commitment as he applied all of these principles to lose over 40 pounds through proper diet and fitness. 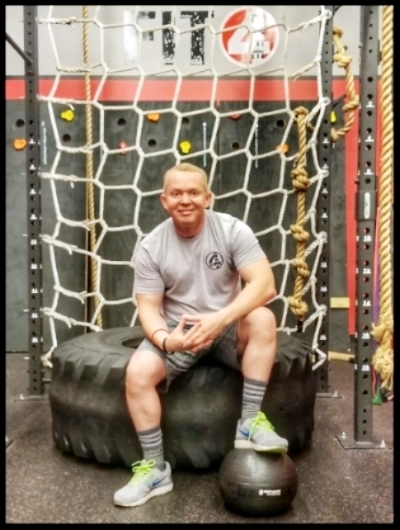 After such a life changing experience of achieving his fitness goals, he wants to help others achieve their goals and help push them beyond their expectations. John "Blaze" has been teaching group fitness for the past 10+ years. His certifications range from kickboxing and spinning to silver sneakers and cross fit; he truly believes in continued education to help his friends and clients become the best versions of themselves. His passion is to change the world, one person, one child, one class, one gym, one school, one community at at time. This can be done with EDUCATION, LOVE, UNITY, PATIENCE & INTEGRITY. During her first year living on campus at Florida International University, Amanda chose not to fall victim to the “freshman 15”. Between taking exercise classes at her school’s recreation center and joining a nearby fitness facility, it was then that she found her passion for health and fitness. Having explored various types of training, it then sparked her interest in learning more about the fundamentals. She began studying in the hopes of one day becoming a coach and sharing her knowledge with others. Since then, she has earned her personal training license with the National Council on Strength and Fitness, ran bootcamps, trained private clients and coached HIIT training classes. Chris creates digital content for Fit4Lyfe's classes and special events, through the company's website and social media platforms. 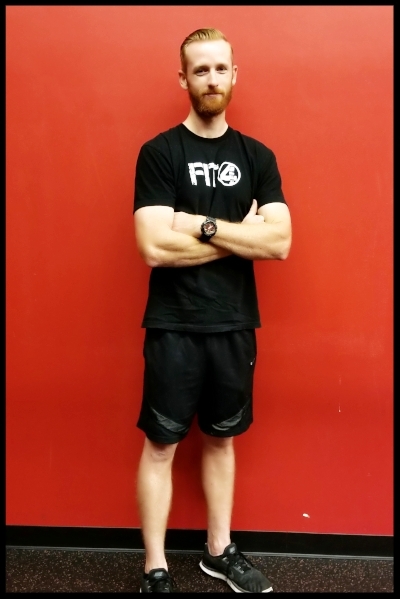 As a long time client, Chris attended classes at Fit4Lyfe's garage location in Cooper City before the grand opening of Fit4Lyfe Pembroke Pines in 2016. In his free time, Chris enjoys travel, rollercoasters, photography and spending time with his miniature Schnauzer Lola Mafalda. Kristina is a Marine wife and a mom that has dedicated her life to volunteer work and now fitness. After walking away from the corporate world a couple years ago in order to commit all of her time to the Marines and their spouses, the PTA, and the Yearbook Committee, she wanted to do something that was just for her. She was ready to invest in herself as much as she has invested in others, something that would help her be better than she was yesterday, EVERYDAY! This is when she discovered Fit4Lyfe, a moment that changed her life forever! She is a client turned Fit4Lyfe family. Kristina is ready to greet you with a smile and help you with all of your registrations and retail needs, with the goal of one day becoming your Coach! Samantha has been in the medical field for more than five years. She is a certified medical assistant. Samantha enjoys being in the medical industry and helping others reach their goals and accomplishments in health and over all wellbeing. She will also soon to be beginning her journey to become a registered nurse. Her greatest happiness are her three children and husband. She enjoys the outdoors such as park trails, fishing and horse back riding. Samantha can’t wait to begin her fitness journey with Fit4Lyfe and conquer her goals.